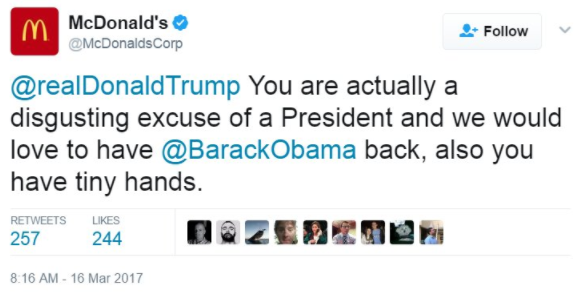 “@realDonaldTrump You are actually a disgusting excuse of a President and we would love to have @BarackObama back, also you have tiny hands,” the McDonalds Corp account tweeted. Though the tweet was eventually removed, the account had “pinned” the tweet which kept it at the top of their profile. The tweet remained up for about 25 minutes and continued to tweet to customers during that time. 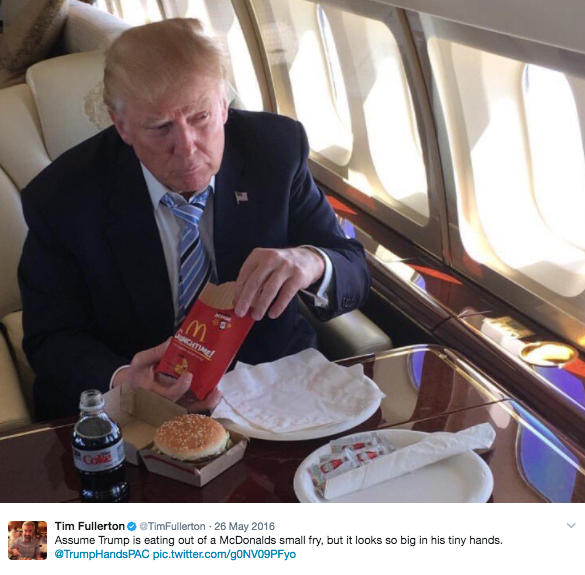 The tweet was sent from the corporate @McDonaldsCorp account, not the brand @McDonalds account, though they are both verified and are connected to the official company. 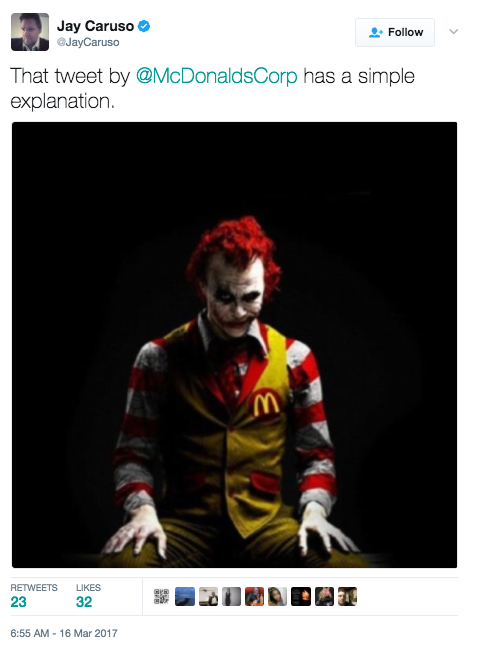 Twitter users began reacting as soon as the tweet was sent. “Twitter notified us that our account was compromised. 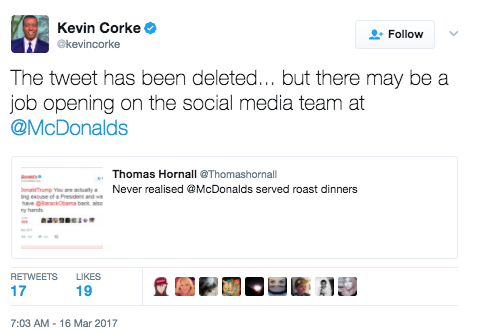 We deleted the tweet, secured our account and are now investigating this,” McDonald’s tweeted. 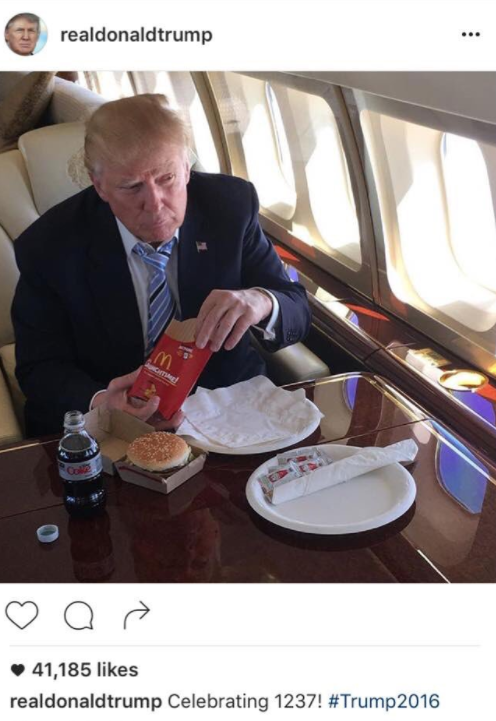 In May 2016, then-presidential candidate Donald Trump shared a picture on Instagram of him eating McDonalds to celebrate gaining 1237 delegates.